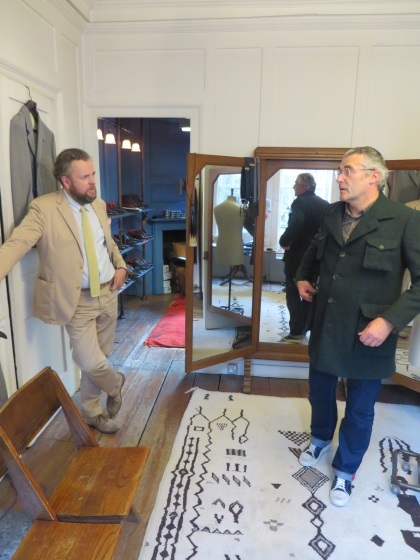 This year the Irish weaver and clothing company Magee celebrates its 150th anniversary. Based in Donegal Town, County Donegal on the west coast of Ireland, the business – now styling itself Magee 1866 – has been controlled by the Temple family for more than 100 years. 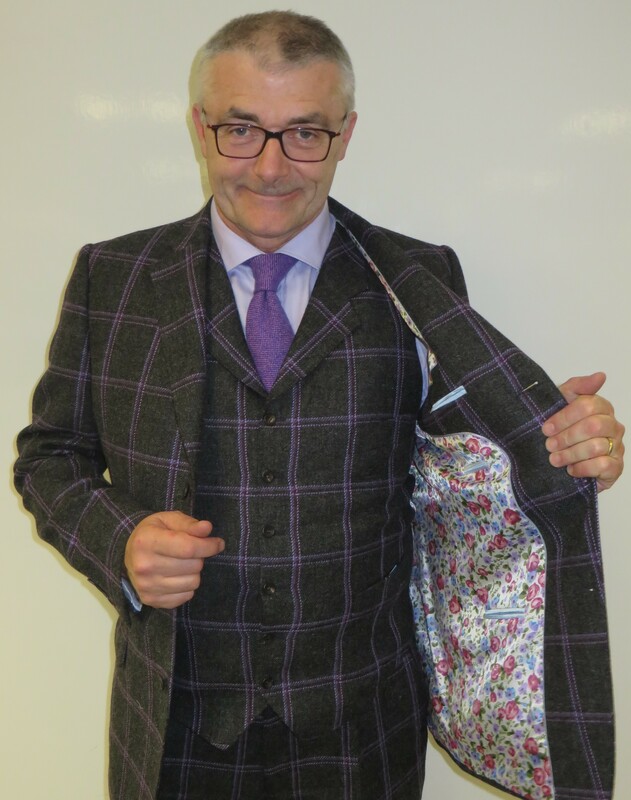 One of my favourite suits is the three-piece made-to-measure tweed suit that Patrick Temple (a fourth-generation cloth enthusiast) organised for me, ably assisted by Jennifer McClay in the Personal Tailoring office in Donegal. 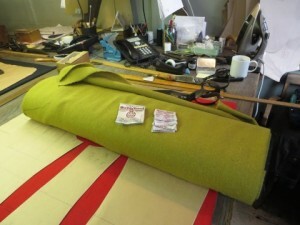 Remarkably enough, we did all the measurements and ordering via email. Jennifer sent me a nice selection of cloths and linings and I went – predictably enough – for the boldest in each category. 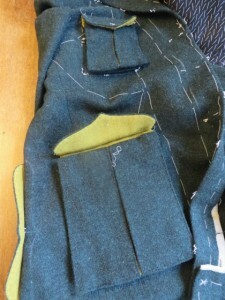 The joy of made-to-measure is getting a basic pattern slightly tweaked to fit one’s measurements. I love the pattern, colour and texture of the Magee-woven tweed, which weighs in at a cosy 500gms (17.6 ounces). It’s what I call a proper cloth and one best suited to a decidedly cool day. 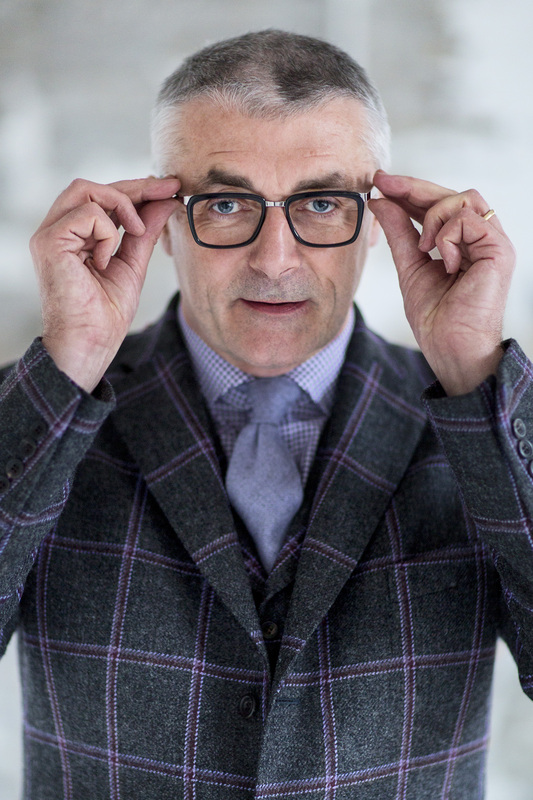 The multicoloured windowpane check and the grey ground allows lots of play with pattern and textures. 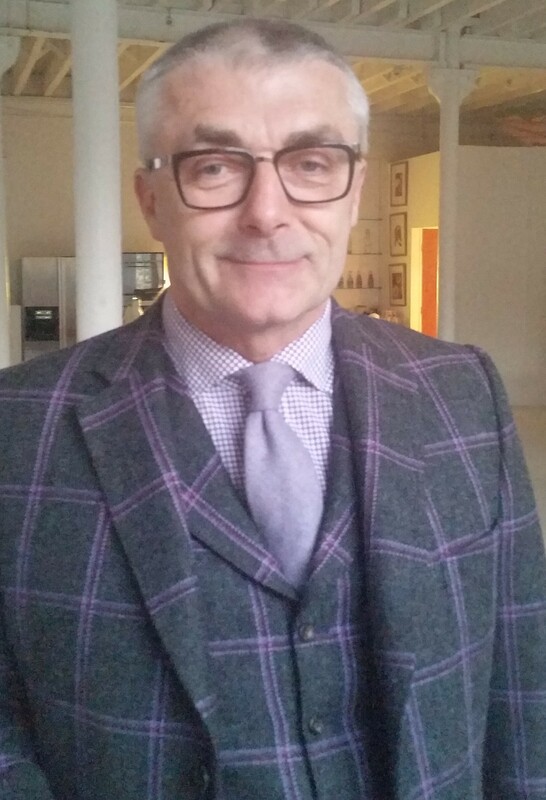 In these pictures I am wearing a Drake’s cotton shirt and a Drake’s cashmere tie. The retail price for the suit is around £840. Highly recommended. 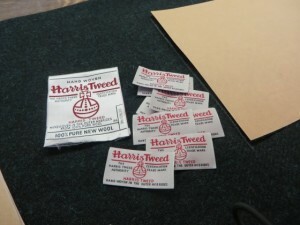 In search of a new winter coat, I decided it was time for something in Harris Tweed. 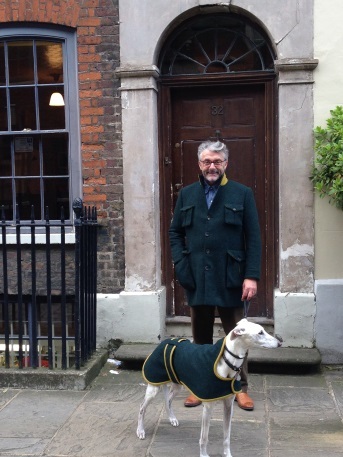 As it turned out, my dog Jimmy the lurcher got a new coat to match mine too, courtesy of bespoke tailor Timothy Everest and the talented team at his atelier in Elder Street, Spitalfields. Tim and I have long been mates and I was pleased he wrote the foreword to the second edition of Sharp Suits. 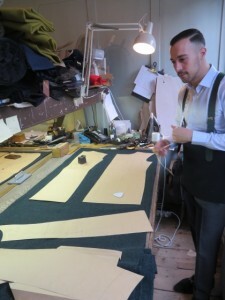 Handling the design and cutting for my bespoke jacket was Fred Neiddu, who had created my grey flannel suit when working at Meyer & Mortimer on Sackville Street. 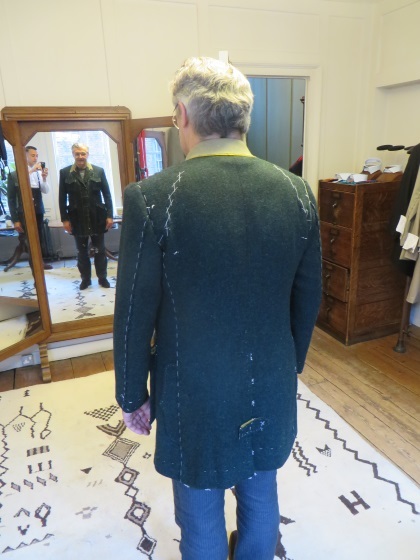 For this project we devised a hybrid of a jacket and coat, taking elements from a trad country field coat and the bellows pockets from a 1960 combat jacket of mine. 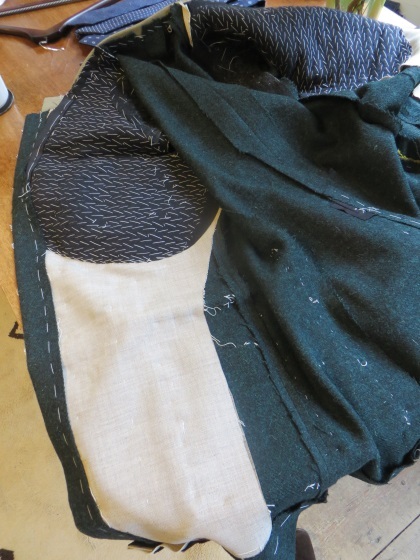 One of the joys of bespoke tailoring is creating something unique. We were using a bottle green Harris Tweed from the Harris Tweed Hebrides mill as the main cloth, augmented by a lichen-coloured version that would be used for highlights, such as the under collar and the underflaps and vents of the bellows pockets. I had visited the mill in 2012, so I was particularly pleased get some of the excellent cloth at long last, courtesy of creative director Mark Hogarth. 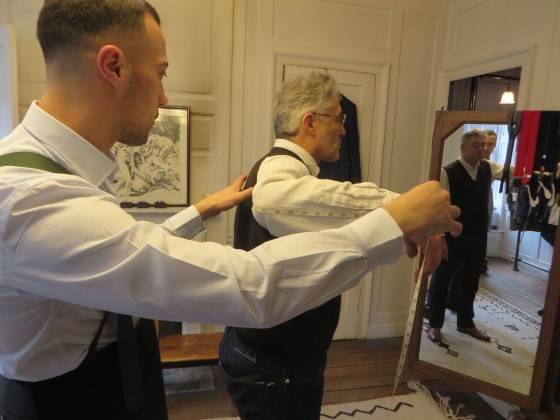 It is hard to exaggerate just how much work goes on in a bespoke jacket that is not seen in the finished item, but a lot of it was on show at the first fitting stage. 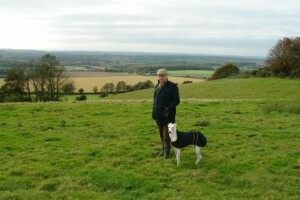 Tim popped in to check on progress. 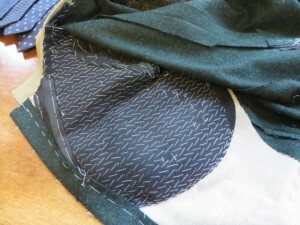 I was very pleased with how this garment developed. 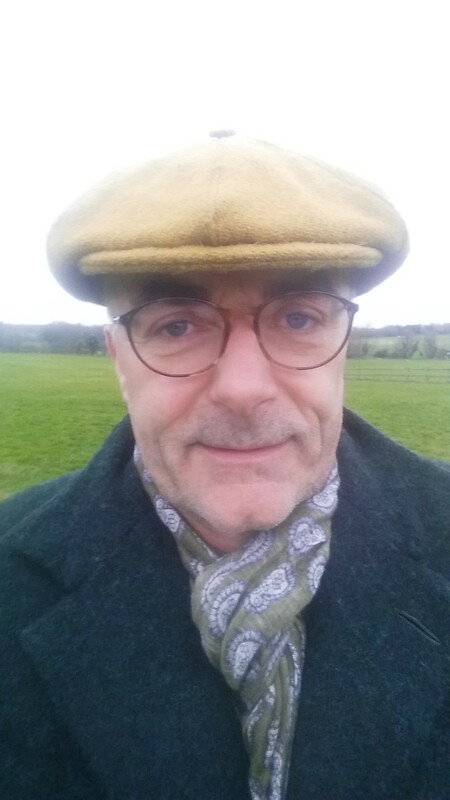 Comfortable, practical, really warm and unique. With the yellowy Harris Tweed left over Fred made me a cap. 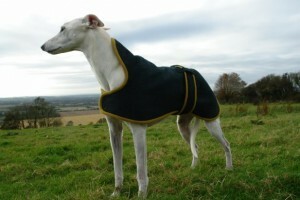 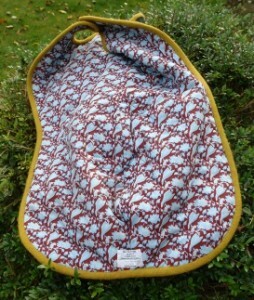 With the rest he was going to make me a vest, but I decided instead that Jimmy the lurcher should have a matching coat. 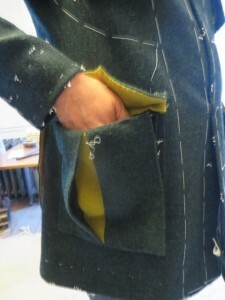 Like mine, Jimmy’s was made by Annika Caswell, expert coat maker at Timothy Everest, who put an amazing amount of love and attention to this unusual order – just look at the quilted lining. 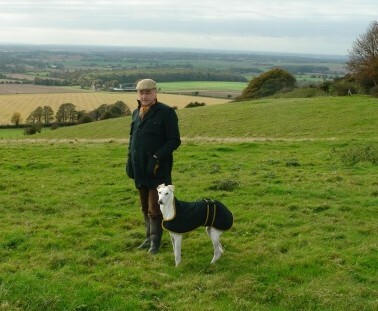 In town or in country, Jimmy and I make a smart couple, even if I say so myself.